The unicorn, one of the most beautiful creatures of all, fulfills our need for hope and our wish to believe in magic. This trend is characterized by pastel hues and glitter. But the days of the unicorn are numbered, and the llama becomes the new unicorn. Although they lack the magic and mysticism of unicorns, llamas, with their shaggy fur, floppy ears, the squishy nose and adorable smiles, have a cuddly factor that makes them ideal for graphics on soft goods. The word ‚llama‘ inspires puns such as No problama, and rhymes with ‚drama‘, ‚karma‘, etc. This year will be the year of the sloth, a lifelike portrayal of the carefree lifestyle many of us strive for every day. 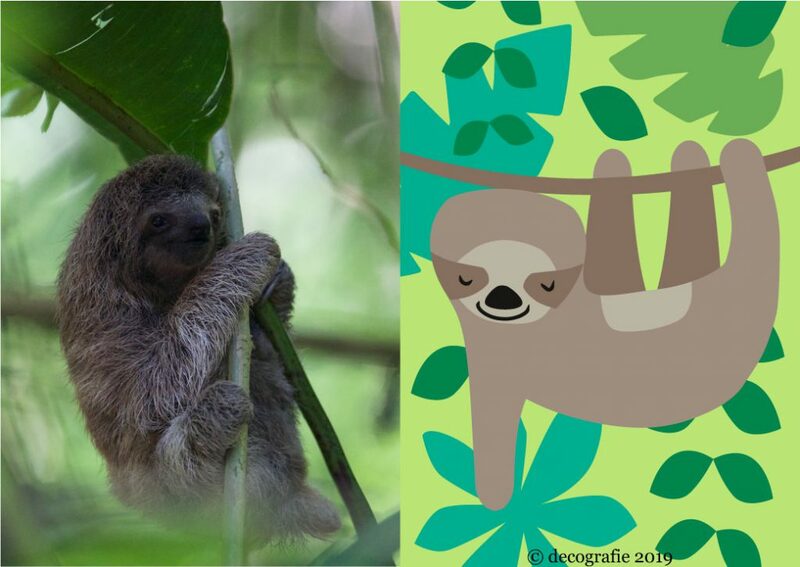 Perhaps we are attracted to the sloth’s laid-back demeanour because it reminds us of ourselves watching television on the couch. The sloth is the new llama.